Ranging from site analysis to design to world-class fine cabinetry and furniture, we can provide an entire package of construction services. R.W. Bianco Construction operates from a philosophy of consistent and uncompromising attention to detail and high quality. Each residential home or piece of furniture or kitchen design or cabinet project is ultimately a collaboration of effort involving a key group of professionals. We take the time to do things correctly and we follow through, whether we are acting as custom builders or as the creators of heirloom quality, handmade furniture. To insure we meet our clients’ desires, R.W. Bianco Construction coordinates and is involved directly in the efforts of architects, engineers and designers. It has been our experience that only a totally comprehensive approach to the entire design development process will result in a spectacular project. As qualified homebuilders and furniture makers, we are eager to show you how we can provide the best service available from any general contractor or luxury homebuilder in Sandpoint, ID. Satisfaction for us comes only when results are nothing less than spectacular. Our entire team is dedicated to old school quality and craftsmanship, using correct techniques instead of the easy ones. In conjunction with these values, we make use of environmentally responsible technologies and building practices where appropriate to create houses, furniture, cabinets and kitchens that incorporate the best of both worlds. Our experience has taught us that working at a greater level of detail from the start of the process creates project excellence. We believe that all aspects of the design process, from site planning to the last coat of paint, deserve appropriate consideration. This dedication allows us to deliver on one of our main goals: true and lasting quality and value. Not only will your finished home or kitchen or cabinets look phenomenal, each will be high quality beneath the surface, and will last for many generations. To R.W. 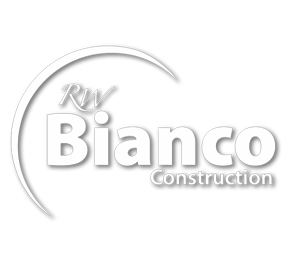 Bianco Construction, the process of design development and construction is all about quality and lasting value. But not just value in a monetary sense -- we achieve true value by paying attention, communicating and being truly passionate about what we do. Bob and his team appreciate that each client has specific needs, focuses and goals. We pride ourselves on our ability to interpret what clients desire, apply it to the residential project and be strategic about the execution. Of course this applies to our role as homebuilders and as furniture and cabinet makers. We base all conversations on integrity and trust and keep our word; in fact, our mantra is communication, communication, communication. The use of modern communications technologies allows us to make ourselves totally available to our clients. In addition, we believe building a home should be exciting, pleasurable, and collaborative. Bob’s involvement in all phases of project development provides a creative, cohesive and enjoyable experience for all from inception to completion. R.W. Bianco Construction takes pride in analyzing, engineering and constructing a home worthy of the beauty of the property. 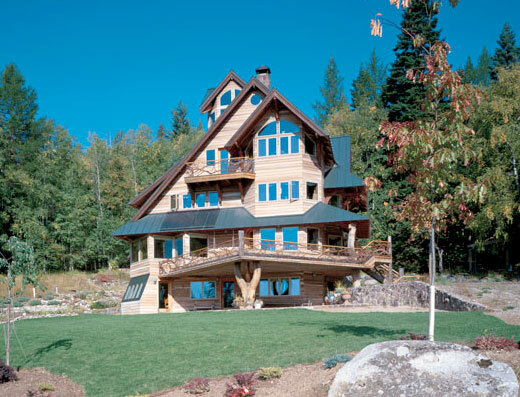 Many of the residential homes we build are lakefront or waterfront properties with unique views of Sandpoint’s lakes or rivers. Each unique part of the existing landscape is considered. This site-specific approach allows the trees, rocks and contours of the natural surroundings to be incorporated into the overall design, not wiped away as an afterthought. We believe that we cannot improve on the natural beauty of a building site. What our team can do is design and execute a project that complements the existing beauty and features of the site. In whichever capacity you choose to use R.W. Bianco Construction, whether as general contractors or as dream kitchen builders or as heirloom quality furniture makers, we are confident that we can provide a unique level of expertise for all phases of your project.